Ten years ago the message was the end of obscene rents from proprietary enterprise software licenses. Five years ago the message was the arrival and fast maturing of open source. Today, the message is the open world and semantics. These forces are conspiring to change much within enterprise IT. And, this change will undoubtedly be for the good — for the enterprise. 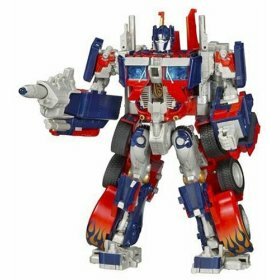 But these forces are not necessarily good news within conventional IT departments and definitely not for traditional vendors unwilling to transform their business models. I have been beating the tom-tom on this topic for a few months, specifically in regards to the semantic enterprise. But I have by no means been alone nor unique. The last two weeks have seen an interesting confluence of reports and commentaries by others that richen the story of the changing information technology landscape. I’ll be drawing on the observations of Thomas Wailgum (CIO magazine) , John Blossom  and Andy Mulholland, CTO of Capgemini . Wailgum describes the “New Normal” and how it might kill IT . He picks up on the viewpoint that ties the recent meltdowns in the financial sector as a seismic force for changes in information technology. While he acknowledges many past challenges to IT from PCs and servers and Y2K and software becoming a commodity, he puts the global recession’s impact on business — the “New Normal”– into an entirely different category. Supply chain applications in manufacturing and shipping. But top management is disappointed and disaffected. IT systems gobble up too many limited resources. They are inflexible. They are old and require still more limited resources to modernize. They are complex. They create and impose delays. And all of these negatives lead to huge losses in opportunity costs. Wailgum notes Gartner, for instance, as saying that by 2012 perhaps 20 percent of businesses will own no IT assets at all in their desire to outsource this headache. I think this devastating diagnosis is largely correct, though perhaps incomplete in that no mention is made of the flipside: what IT has failed to deliver. I think this flipside is equally damning. Despite decades of trying, IT still has not broken down the data stovepipes in the enterprise. Rather, they have proliferated like rabbits. And, IT has failed to unlock the data in the 80% of enterprise information contained within documents (unstructured data). Unfortunately, after largely zeroing in and mostly diagnosing the situation, Wailgum’s remedy comes off sounding like a tired 12-step program. He argues for new mindsets, better communications, getting in touch with customers, being willing to take risks, and being nimble. Well, duh. So, over the decades of IT failures there has been accompanying decades of criticism, hand-wringing, and hackneyed solutions. Without some more insightful thinking, this analysis can make our understanding of the New Normal look pretty old. John Blossom  picks up on these arguments and looks at the issues from the vendor’s perspective. Blossom characterizes Wailgum’s piece as “outlining the enormous value gap that’s been arising in enterprise information technologies.” And, while clearly new approaches are needed and farming them out may become more prevalent, Blossom cautions this is not necessarily good news for vendors. Web search engines and social media tools can begin to replace some of the dedicated expenditures and systems within the enterprise. Moreover, the extent, growth and value of external data and content is readily apparent. Without outreach and accommodation of external data — even if it can solve its own internal data federation challenges — the individual enterprise is at risk of itself becoming a stovepipe. Prior focuses on strategy and capturing workflows are perhaps being supplanted by the need for operational flexibility and on-the-fly aggregation and rapid service development tools. In an increasingly interconnected and rapidly changing world with massive information growth, being able to control workflows and to depend on central IT platforms may become last decade’s “Old Normal.” Floating on top of these massive forces and riding with their tides is a better survival tactic than digging fixed emplacements in the face of the tsunami. Use of open standards and APIs to avoid vendor lock-in. Much, if not all of this, can be provided by open source. But open source is not a sine qua non: commercial products that embrace these approaches can also be compatible components across the stack. But — even with these components — a full cure still lacks a couple of crucial factors. These remaining gaps are emphasized in Andy Mulholland’s recent blog post . His post was occasioned by the press announcement that Structured Dynamics (my firm) had donated its Semantic Enterprise Adoption and Solutions, or SEAS, methodology to MIKE2.0 . Mulholland was suggesting his audience needed to know about this Method for an Integrated Knowledge Environment because some of the major audit partnerships have decided to get behind MIKE2.0 with its explicit and open source purpose of managing knowledge environments and their data and provenance. So, one remaining factor is thus how to extract meaning from unstructured (text) content. It is here that semantics and various natural language processing (NLP) components come in. Implied in the incorporation of data extracted from unstructured sources is a data model expressly designed for such integration. Yet, without a fulcrum, the semantic lever can still not move the world. Mulholland insightfully nails this fundamental missing piece — the “most crucial issue” — as the use of the open world assumption. From an enterprise perspective and in relation to the points of this article, an open world assumption is not merely a different way to look at the world. More fundamentally, it is a different way to do business and a very different way to do IT. Archimedes is attributed to the apocryphal quote, “Give me a lever long enough and a fulcrum on which to place it, and I shall move the world.”  I have also had lawyer friends tell me that the essence of many court cases is found in a single pivotal assertion or statement in the arguments. I think it fair to say that the open world approach plays such a central role in unlocking the adaptive way for IT to move forward. As Mulholland notes, we have donated our Open SEAS methodology  to MIKE2.0 in the hopes of seeing greater adoption and collaboration. This is useful, and all are welcome to review, comment and contribute to the methodology, indeed as is the case for all aspects of MIKE2.0. But the essential point of this article is that Open SEAS also embraces most — if not all — of the factors necessary to address the New Normal IT function. 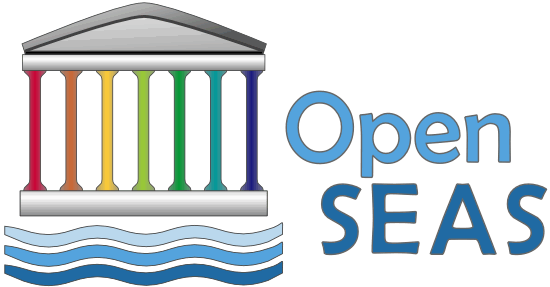 Open SEAS is explicitly designed to facilitate becoming an open semantic enterprise. 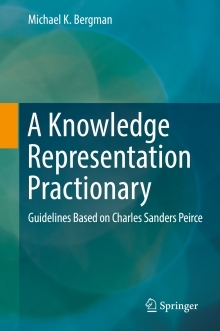 Namely, this means an organization that uses the languages and standards of the semantic Web, including RDF, RDFS, OWL, SPARQL and others to integrate existing information assets, using the best practices of linked data and the open world assumption, and targeting knowledge management applications. It does so based on Web-oriented architectures and approaches and uses ontologies as an “integration layer” across existing assets. The foundational approaches to the open semantic enterprise do not necessarily mean open data nor open source (though they are suitable for these purposes with many open source tools available). The techniques can equivalently be applied to internal, closed, proprietary data and structures. The techniques can themselves be used as a basis for bringing external information into the enterprise. ‘Open’ is in reference to the critical use of the open world assumption. These practices do not require replacing current systems and assets; they can be applied equally to public or proprietary information; and they can be tested and deployed incrementally at low risk and cost. The very foundations of the practice encourage a learn-as-you-go approach and active and agile adaptation. While embracing the open semantic enterprise can lead to quite disruptive benefits and changes, it can be accomplished as such with minimal disruption in itself. This is its most compelling aspect. We believe this offers IT an exciting, incremental and low-risk path for moving forward. All existing assets can be left in place and — in essence — modernized in place. No massive shifts and no massive commitments are required. As benefits and budgets allow, the extent of the semantic interoperability layer may be extended as needed and as affordable. The open semantic enterprise is not magic nor some panacea. Simply consider it as bringing rationality to what has become a broken IT system. Embracing the open semantic enterprise can help the New Normal be a good and more adaptive normal. Thomas Wailgum, 2010. “Why the New Normal Could Kill IT,” March 12, 2010 online story in CIO Magazine; see http://www.cio.com/article/575563/Why_the_New_Normal_Could_Kill_IT. John Blossom, 2010. “Enterprise Publishing and the “New Normal” in I.T. – Are You Missing the Trend?,” March 15, 2010 blog post on ContentBlogger; see http://www.shore.com/commentary/weblogs/2010/03/enterprise-publishing-and-new-normal-in.html. Andy Mulholland, 2010. “Meet MIKE – Methodology for Managing Data and its Use,” March 12, 2010 ePractice.eu Blog post; see http://www.epractice.eu/en/blog/309352. Also, see Mulholland’s Capgemini CTO Blog. Bette Davis (as Margo Channing) uttered this famous line in All About Eve (1950). MIKE2.0 is a Method for an Integrated Knowledge Environment is an open source methodology for enterprise information management that provides a framework for information development. The MIKE2.0 Methodology is part of the overall Open Methodology Framework and is a collaborative effort to help organisations who have invested heavily in applications and infrastructures, but haven’t focused on the data and information needs of the business. As quoted in The Lever, “”Archimedes, however, in writing to King Hiero, whose friend and near relation he was, had stated that given the force, any given weight might be moved, and even boasted, we are told, relying on the strength of demonstration, that if there were another earth, by going into it he could remove this.” from Plutarch (c. 45-120 AD) in the Life of Marcellus, as translated by John Dryden (1631-1700). 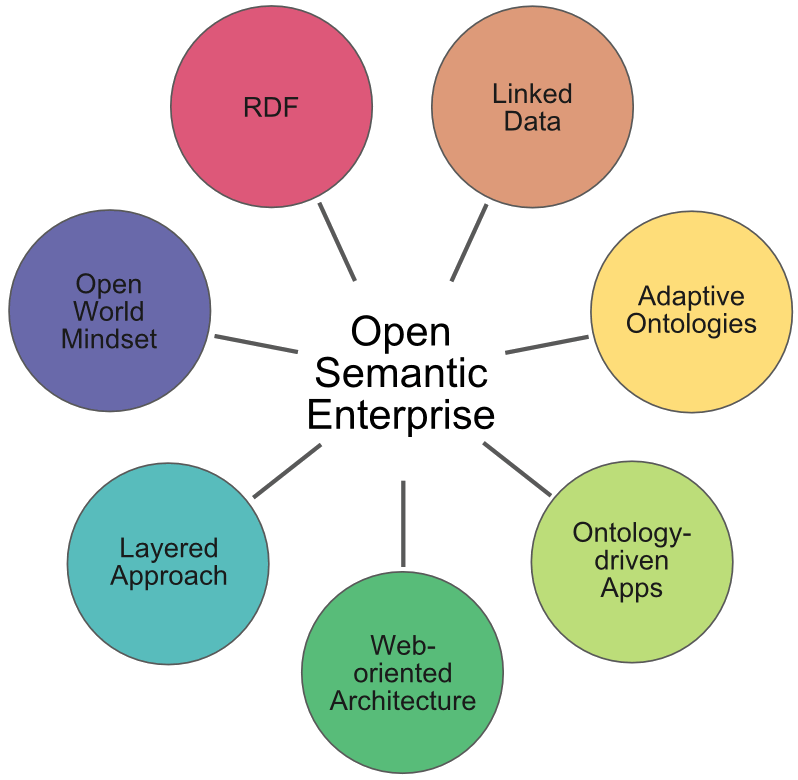 The Open SEAS framework is part of the MIKE2.0 Semantic Enterprise Solution capability. It adds some 40 new resources to this area, importantly including reasoning for the validity of statements in ‘open’ situations. Great post! In 2010, consumer collaboration tools are finding their way into the enterprise, but they are not really equipped for business. The result is the need for new standards such as you talk about. Also the emergence of open platform applications (a little like apps on the iPhone!) which is definitely disruptive for traditional vendors.